Jimmy here from Beat Assassins. 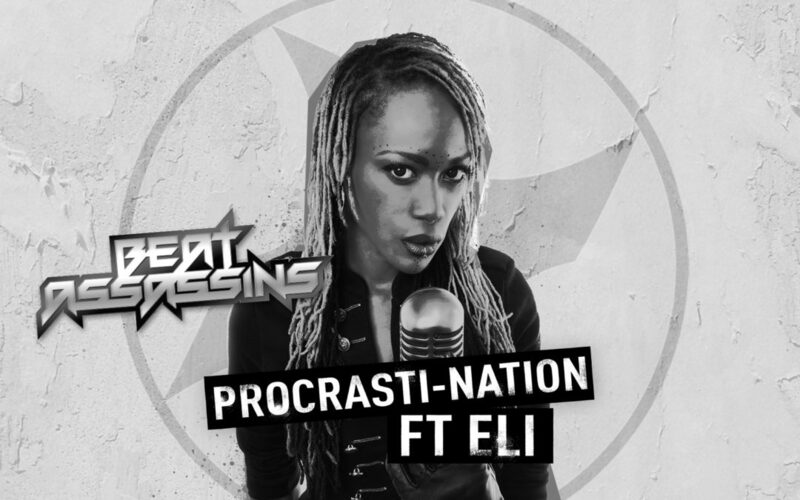 I’m really proud to be announcing the release date of our next single PROCRASTI-NATION ft the amazingly talented ELi. Procrasti-Nation is a full on vocal driven drum n bass track with a rock edge. Alongside the original we have a remix from the heavyweight dons of drum n bass MOB TACTICS. Watch this space for more info and video clips coming very soon.